A clear day's view of Marina da Gama. 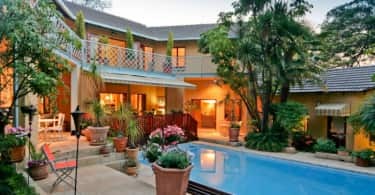 A constant influx of people from the Northern parts of the country semigrating in their masses to the Western Cape and a great deal of foreign investment in especially the luxury property market confirm again that the Cape is South Africa’s destination of choice – among locals and foreigners. As a result very few coastal towns in the Cape still offers a beachfront lifestyle with a fairly affordable price tag, but fortunately the Marina da Gama close to Muizenberg is one of the exceptions to this rule. 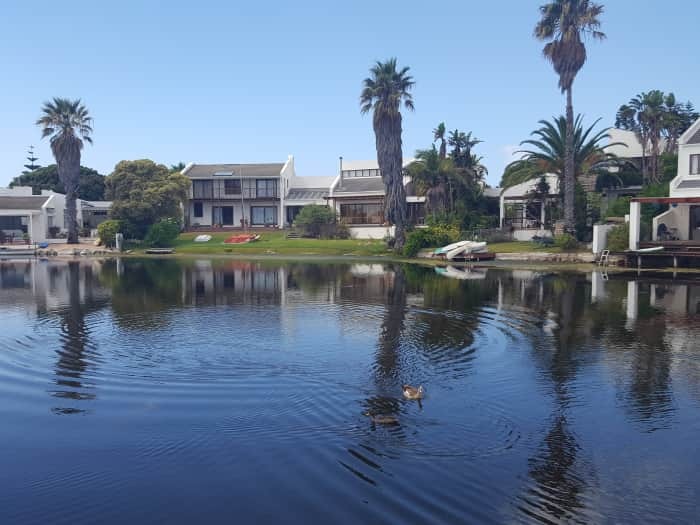 Steven de Villiers, a Seeff agent in False Bay, says prices in the Marina range from R1 million to R4 million, depending on the location on the island and that the property market here is quite active with between 64 and 81 freehold properties transferring per annum. 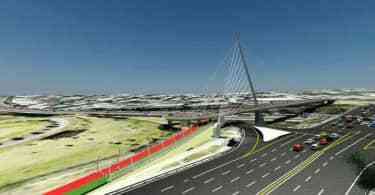 “The Marina da Gama can be compared to a gated suburb and consists of four islands. It is only about five minutes from the beach, the M3 and M5 and the Blue Route shopping mall. Kalk Bay, St James and Fish Hoek are close by as well”. De Villiers continues that the Marina also attracts a younger group of buyers who prefer the more affordable Uitsig Peninsula where properties vary from R 1 million for a two bedroom and two bathroom home up to R3 million for a three bedroom waterfront home. “The Marina da Gama is still very much of a secret and a pleasant surprise to most buyers. The price of property is substantially more affordable than in the outlying suburbs and property here offer great value for money as well as a good return on investment”. De Villiers adds that the suburb was built in the 1970’s and features homes which are situated on and around small peninsulas of land which jut into the Zandvlei estuary. The estuary boasts beautiful wild and bird life, indigenous fish, the Cape clawless otter, porcupine and water mongoose and spectacular views. Most residents on the Marina own small paddle boats or canoes, and Zandvlei is well-utilised by lovers of watersports such as wind-surfing, kayaking and stand-up-paddling. De Villiers concludes that the islands are connected to each other with large foot bridges, enabling residents to enjoy leisurely walks around the Marina and there is also a 1,5km circular walk around the Zandvlei reserve which can be accessed from the other side of the estuary in Lakeside. “The entry roads into Marina Da Gama are permanently manned by security guards and the wooden security huts are a welcoming sight for residents, as well as a great deterrent for crime in the area”.